If you didn't know better, you'd think there was a pizza war going on in Eifukucho. 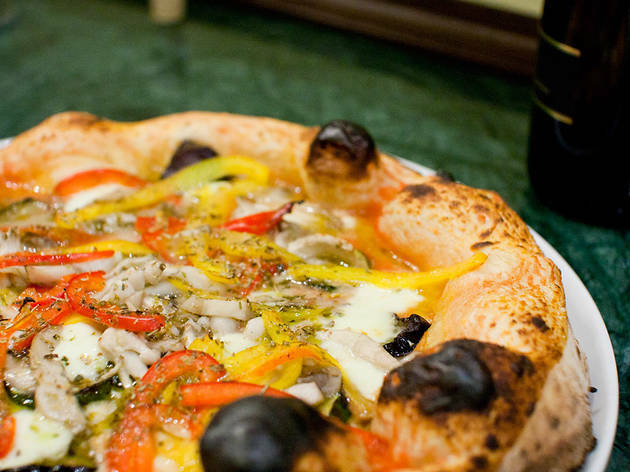 After a decade manning the oven at La Piccola Tavola – widely regarded as one of Tokyo's top pizzerias – chef Massimo Minicucci left, only to open a new place of his own just around the corner. If the interior at Massimottavio lacks the charm of La Picccola's (Time Out's companion on our first visit compared it unkindly to a Chinese restaurant), it easily rivals it for the quality of the food coming out of the kitchen. 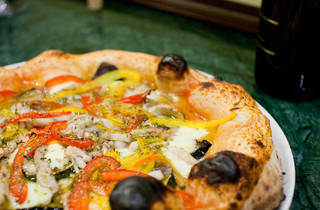 Massimo built the stone oven himself, making it deliberately squat, to ensure a soft, pillowy cornicione. Our margherita con bufala puffs up at the edges, sealing in a sea of juices that gushes out onto the plate when you slice it – strictly knife-and-fork stuff, but it tastes far better than it looks. There's a good wine selection, not exorbitantly priced, and we'd recommend leaving space for desserts like the show-stopping tiramisu, served in a cocktail glass.